Navy SEAL SCPO. Daniel R. Healy - Run for the Fallen New Hampshire, Inc.
to rescue a four man SEAL reconnaissance team in Kunar province, Afghanistan. 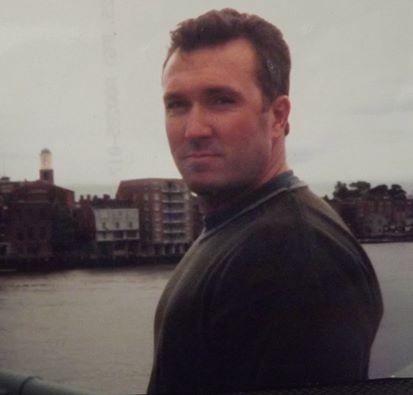 Daniel Healy enlisted in the Navy in 1990 and graduated from BUD/S in 1992. 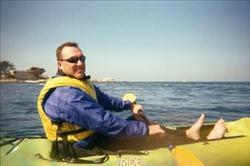 He was assigned to SEAL Delivery Vehicle Team ONE (SDVT-1) from 1992 – 1996, followed by a year of intensive language training at the Defense Language Institute in Monterey, CA. Healy next served at SEAL Delivery Team TWO, before returning to SDVT-1 in Pearl Harbor, HI, where he led a training platoon. In March 2005, Healy deployed to Afghanistan. 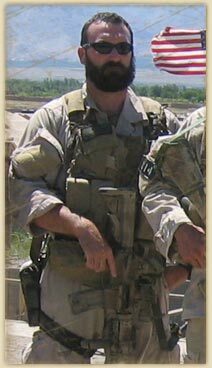 He died along with seven other SEALs and 8 Army “Nightstalker” commandos when their MH-47D Chinook helicopter was shot down during a mission to rescue a four-man SEAL reconnaissance team in Kunar Province on June 28, 2005. Healy was part of a dedicated team fighting the Taliban, a fundamentalist regime that a U.S.-led coalition knocked from power in Afghanistan in 2001, but has continued to conduct guerilla operations, particularly along the Pakistan border. Healy worked to help ensure al Qaeda terrorists could not train in, nor launch strikes from Afghanistan since their lethal attack on the World Trade Center in New York on September 11, 2001. 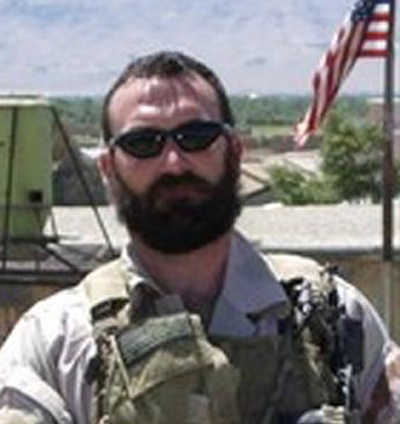 His awards and decorations include Navy and Marine Corps Achievement Award, Joint Meritorious Unit, Meritorious Unit Commendation, three Good Conduct Medals National Defense Service Medal, Bronze Star with Combat "V" for Valor, Purple Heart, and Afghanistan Campaign MDeal posthumously. He is survived by his wife, Norminda; his children, Jacob, Chelsea, Jasmine, Sasha, Nia, Nathan and Chris; parents, Natalie and Henry; sisters, Jennifer Healy and Shannon Keane and his extended family. I am the creator of this unique community. 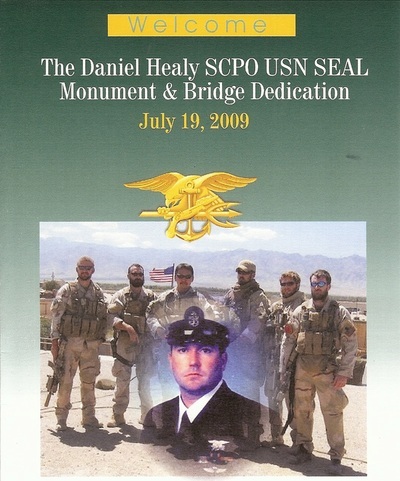 I lost my father, SCPO Daniel Richard Healy, to the war on terrorism June 28th, 2005. Since then, life for my family, and in this particular case, my siblings, has been everything but easy. My father’s death was very difficult to cope with and remains so to this day. I am so thankful for the amount of support I’ve received and continue to see in my community. With support, I was able to not only mend much of the emotional pains I had, but I was given new opportunities through grace and fortune. Furthermore, a fair amount of time has passed for me to process the series of events that followed the loss of my father and gain more perspective. However, it substantially pains me to know I am not the only one to undergo a similar experience as we constantly are witness to an increasing loss of life in this war on terror. In essence, I have become increasingly motivated on creating a community for others who share my perspective or experience. It is my goal to make Children of the Fallen a haven like community where others like my sisters and I can grow from our experiences with those who have a special care and longing to express the same. Photo courtesy of his mother Natalie Healy. Dan is the second from the left, during an operation in Afghanistan. Native of Exeter, New Hampshire, Sr. Chief Petty Officer Dan Healy joined the Navy in 1990 and soon thereafter made it through the SEAL program. 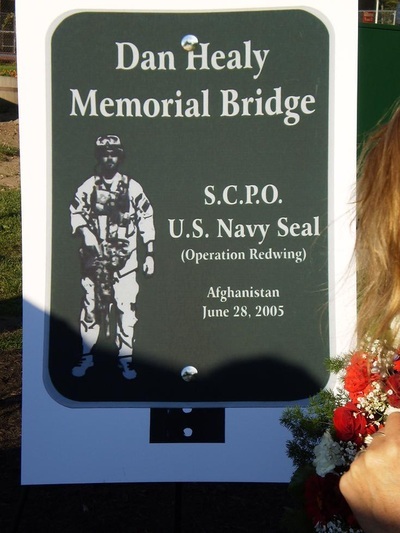 Healy was deployed to Afghanistan in March 2005 and was killed three months later when the helicopter he was riding in was shot down during a rescue attempt in Operation Redwings. Following is part one of an interview with Healy’s mother, Natalie Healy. 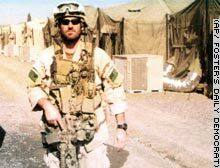 LoneSurvivor.net: So Dan was born and raised in Exeter, New Hamsphire, is that correct? NH: Yes. Well, we lived in Hampton, the next town over when he was born but the hospital is in Exeter. He ended up graduating from Exeter High School. LSN: What was he like as a child? What kind of hobbies and interests did he have growing up? NH: Well, he was a rambunctious boy, he was very active. Actually there’s a high percentage of SEALs from the seacoast of New Hampshire area and I actually get them together as a group and once a month we have “SEAL Mom Dinner” and we all go out for dinner and we talk about our kids and compare notes. And most of them were very active.Most of them had a lot of experience in the water….a lot of them were on the swim team. In Dan’s case he grew up at the beach. I’m originally from Rye Beach and I’m a “beach person,” and one of the first things I recall was when he was three years old and I had him and his sister down at the beach, and it wasn’t summer, he was dressed in a sweater and pants and everything, and we get to the top of this little knoll overlooking the beach and he took off like a shot heading right for the water and I’m going after him trying to catch him and his sister is up there screaming, “Danny, Danny!”….and that was always her role, to scream when Danny was heading for something. (Laughs) They were like 10 and a half months apart, what we call Irish twins around here. Anybody that’s born less than a year apart they call them Irish Twins and they just happen to be of Irish descent too. So he was pretty rambunctious, very active. He was in Cub Scouts, Little League….he tried hockey…..he didn’t do that great with hockey. 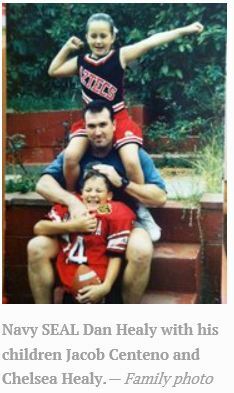 His sister would sit up in the stands and drop down every time he fell. (Laughs) Anyway, he played a lot of sports, he was just a very active kid. I was just telling my friend tonight, in our neighborhood, where we lived was an idyllic place for our kids to grow up. It’s a small town, they played in the woods, they went skating at the pond. 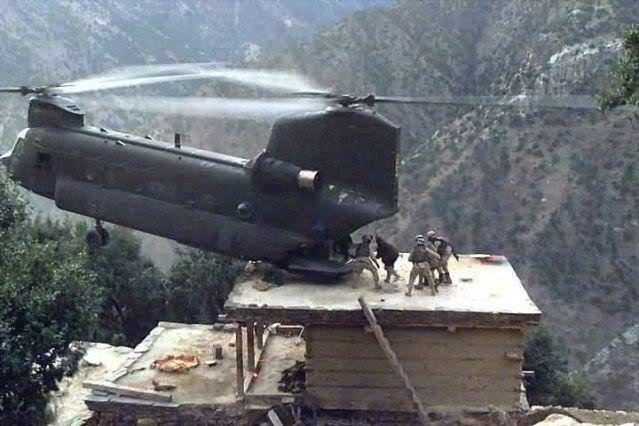 They had the freedom to run….and they did, they built their forts in the woods. The thing about Dan….he was basically on a first-name basis with the nurses in the emergency room because he would fall out of trees or when he was at summer camp he would hit his chin on the side of the pool jumping in. He jumped off the back of our couch when he was three years old and broke his leg and I heard it snap too…. LSN: Have you read the book “Fearless” about Adam Brown? NH: No I haven’t yet. Why, is that sounding familiar? LSN: Yeah, Dan and Adam sound just alike when they were kids…..jumping off of things and hurting themselves..
NH: No kidding? I’m going to have to read that. And that’s what we have found basically….the commonality, when all of us moms compare notes is they’re all very active. There wasn’t a lazy one in the bunch. Also, they were good kids but they would push that envelope, just enough. In Danny’s case he and I we fought his way through high school. I always knew he had the natural intelligence that he should be doing well in school but he kind of majored in……just say if they gave marks for being socialable Dan would have been on the honor roll. (Laughs) That was his big thing. Basically he actually charmed his way out of high school. At the very end he found out he needed a couple of credits in English or he wouldn’t be able to graduate and he talked to the teacher and someone he worked it out where he would get the credits and get himself out of high school. Then he was entrepreneur….he had his own landscaping business and he was always interested in that sort of thing. Then he was an apprentice electrician and it looked like he was going to go in that direction and then when the housing market around here in New England fell apart at the end of the 80s to the early 90s that’s when he went west and his friend Butch Higgins was in the Navy and the next thing you know Dan was calling and saying he was joining the Navy. At that time I thought that was a very good thing, it would give him direction. 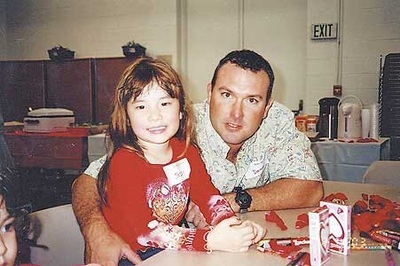 LSN: Did he have an early interest in the military growing up? I know you said your father was in the Navy. NH: Right. But I never saw any particular interest except, like a lot of boys at that time….Top Gun, An Officer and a Gentleman…they caught his imagination. And there were a couple of conversations that we had that stuck with me through the years. When we were watching An Officer and a Gentleman they did an obstacle course…..Danny was always a weight lifter in high school, and that more than anything probably kept him in the straight and narrow, and he was a bodybuilder basically…his friend’s father had gotten the boys into it and they was very strict about his regimen and all of that. And anytime I needed to make a point with him I’d put him on restriction so that he couldn’t do his program and that was awful for him. And I hated to do it but I had to make my point. But he didn’t express any interest in going into the military. His dad had been in the Air Force you know, but Dan was attracted to Top Gun and An Officer and a Gentleman, so when we saw Officer and Gentleman and they were running the obstacle course, I said, “Dan, do you think you could do that?” And he didnt’ just say, “Yeah I could do that”. He wasn’t real cocky like that but of course that’s what he had to do in BUD/S and everything. 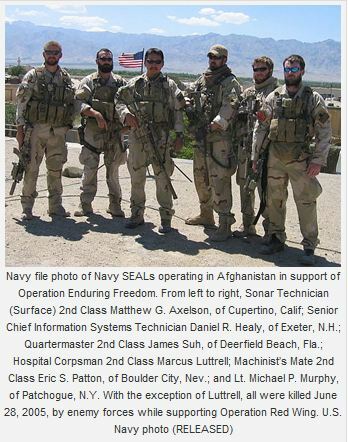 LSN: How long was he in the Navy before he decided to try out for the SEALs? LSN: How did the family feel about that? NH: This is very odd because I can remember the day, I was a sophomore in high school, when President Kennedy announced the formation of the SEALs. I can still see him in my mind’s eye making that announcement. And for two reasons I remember that….because my dad had been in the Navy and also because the acronym fascinated me….Sea, Air and Land. And little did I know 30 years later my son would be one. It just had always stuck in my mind. And when he went in the Navy, as I said, I thought it was good for him to get a direction and also for his education. Then he called and said he was going to try out for the SEALs and I said, “Well, that’s great Dan,” because I thought he could do it. I asked him what made him decide to do that and he said, “I don’t want to spend six months on a ship.” And I said, “Don’t you think you should have thought of that before you joined the Navy?” (Laughs) But really what it was, he said he wanted to challenge himself. That really is the biggest reason. He wanted to challenge himself, and he did….and he was one for 15 years.Which I didn’t know at the time was quite a feat I guess, to maintain that standard.